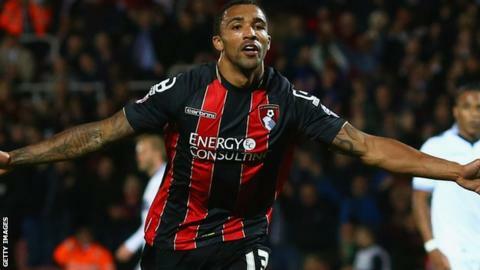 Bournemouth striker Callum Wilson has signed a new four-year contract with the club. Wilson scored 20 league goals as the Cherries won the Championship title last season and secured promotion to the Premier League for the first time. The 23-year-old moved from Coventry last July for an undisclosed fee. "Playing in the Premier League is all I've ever dreamed of. You want to play against the players you idolise," he told the club's website. The England Under-21 international had been linked with a move away from Dean Court, with Arsenal, Chelsea and Aston Villa all reported to be interested. But Wilson said: "I signed from Coventry thinking we would get to the Premier League in the next few years and we did it in the first season. "There's no reason, at this moment in time, why anyone would want to leave because we are in the Premier League and have a great manager, who is young and wants to be successful."